Each new trainer becomes available on the hour (1:00, 2:00, 3:00, etc. ), always in the order above. 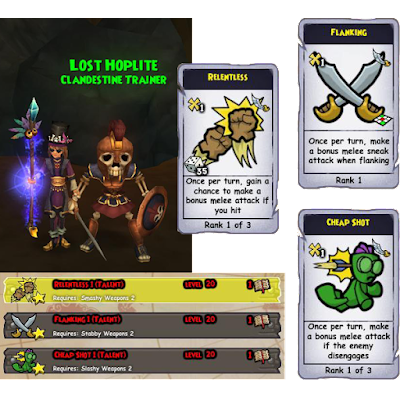 They offer some pretty awesome talents, which I will post below for those who are interested. But first you'll need to know where to find them. 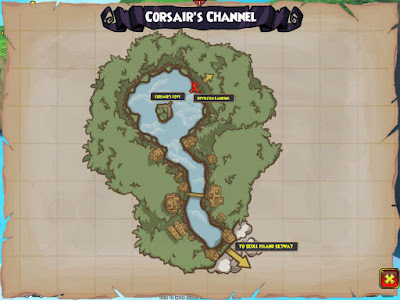 The trainers have their own cave in Corsair's Channel in Skull Island. 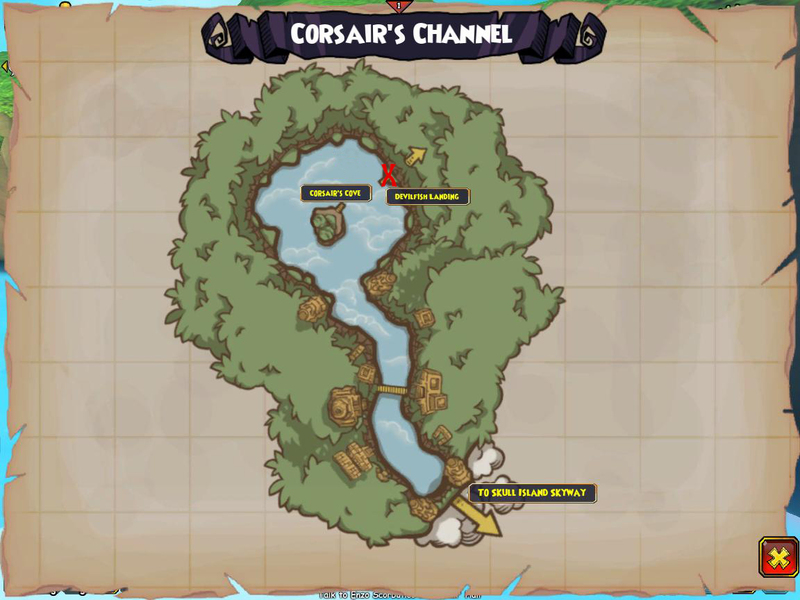 To access it, first dock your ship at Devilfish Landing in Corsair's Channel. Once you dock and exit your ship, go into the cave to enter Devilfish Hollow. This area is tricky to navigate, as there are many enemies looking for a fight. It is possible to make it through without getting caught in a battle, but you have to watch where you're going and be really careful. The red "X" on the map below is where you want to end up. 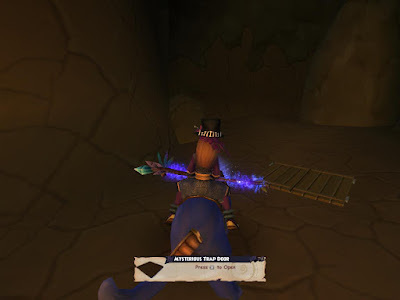 Once you get to the correct area, you will see a trap door labeled "Mysterious Trap Door." This is the entrance to the Mysterious Trainers' cave, Clandestine Cave. 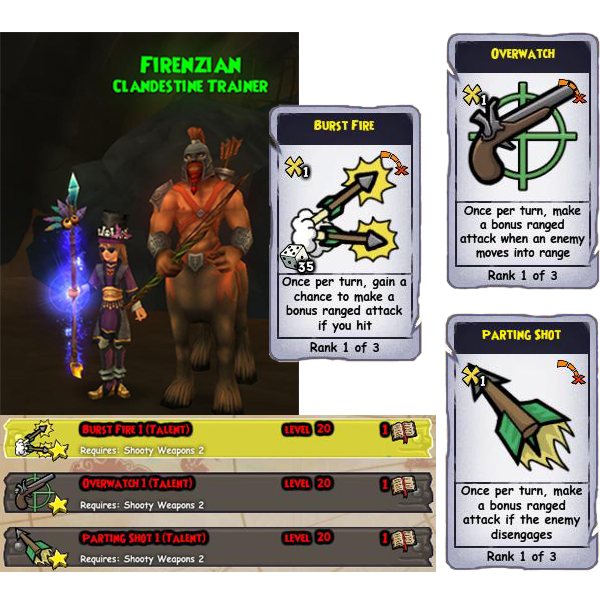 Now that you have found the trainers' cave, it's time to have some fun! Hopefully when you get there the trainer you want to get powers from is available. If not, you will have to wait until it is. 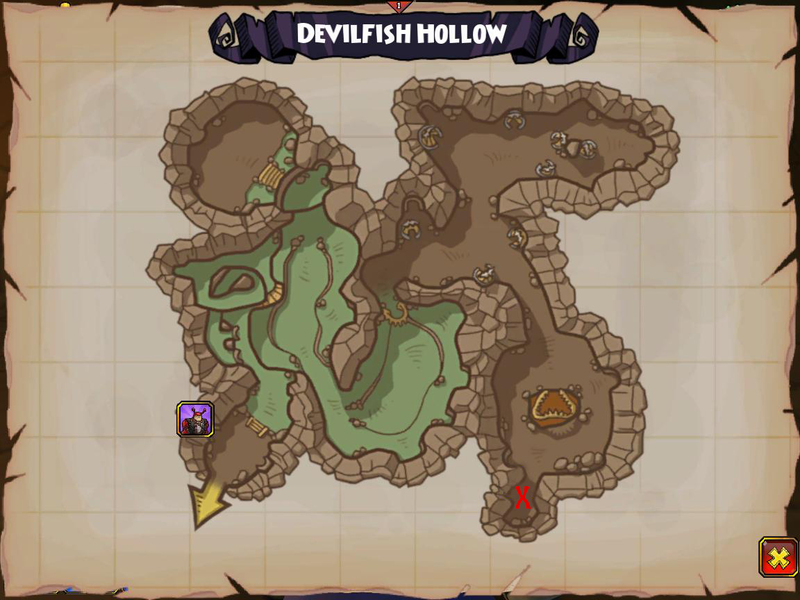 *Note* If you are in the cave and log out, the game will kick you out to the Devilfish Landing life fountain. 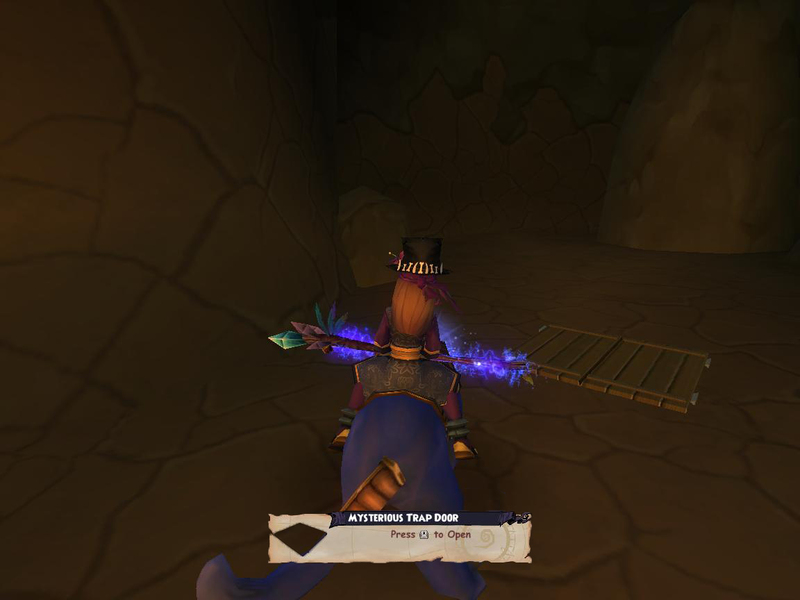 You also cannot mark your location inside the cave. If you need to wait, I recommend exiting the cave and marking your location near the trap door. That way you don't have to worry about finding/fighting your way back. So those are the 3 mysterious trainers and what they have to offer. 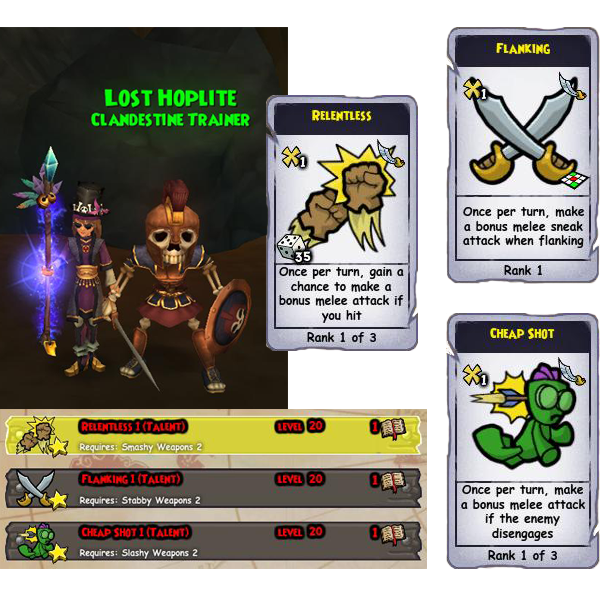 I have trained the talents that will be useful for each of my pirates. However, I haven't had a chance to try any of them out yet. I'll make a separate post to let you all know what I think when I have a chance to try them. I'm especially excited about the Witchdoctor/Staffy talents and about having relentless on my Buccaneer. Comment below and let me know what you think of the trainers! 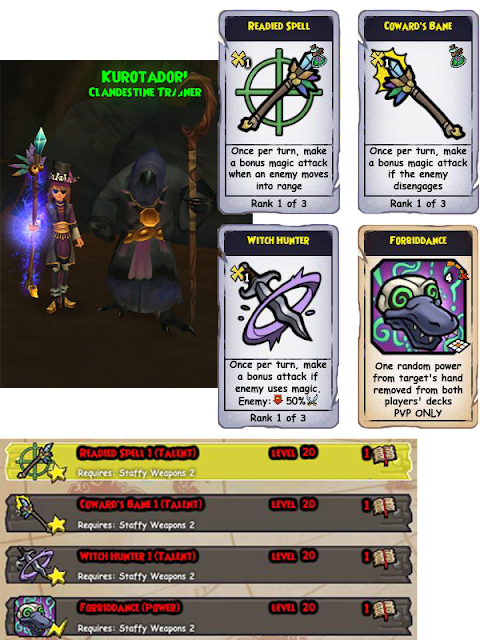 See you in the spiral!